"Utilize Energy Data Effectively To Get Better Savings"
Energy Data Analytics implies the broad utilization of data, statistical and quantitative analysis, explanatory and predictive models, and fact-based management to drive decisions and actions. Essentially, analytics is an arrangement of technology and processes that utilize data to comprehend and analyze the performance of an organization. Regarding energy consumption and greenhouse gas emission by sector, the industrial sector consumes about 52% of the energy worldwide, implying that the industry is one of the main drivers of increasing electricity demand worldwide. With the flood of data available to businesses regarding their supply chain these days, companies are turning to energy data analytics solutions to extract meaning from the huge volumes of data to decrease their energy consumption. Organizations that are planning to optimize their sales and operations efforts require capacities to break down historical data, to predict the outcomes. The guarantee of doing it right and turning into a data-driven association is always appreciated. Immense economic benefits can be seen in any organization that has upgraded their supply network, brought down working costs, expanded incomes, or enhanced their client administration and some other activities. Data gathered from the Energy Management System can provide a better understanding of energy consumption and other operating parameters of various equipment installed in a facility. 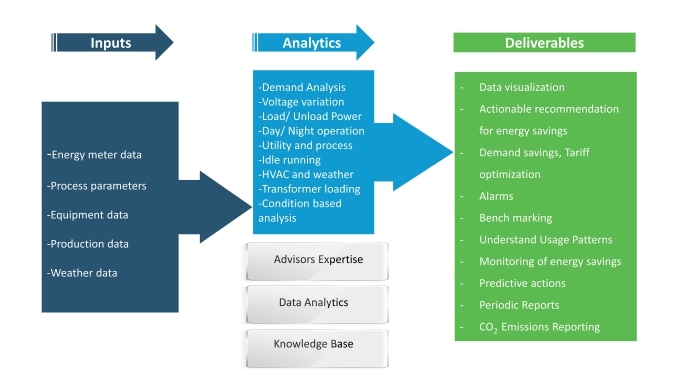 Energy Data Analytics can provide real-time insights into operational performance. Finally, this leads to a reduction in energy costs or operating costs due to preventive maintenance. Data gathering and establishing a comprehensive understanding of the specific situation which is under consideration, this involves the use of a variety of common or easily available data. A centralized data monitoring system allows analyzing the energy data more effectively and provides system level visibility to efficiency, detect anomalies, improve quality & performance. Analyzing the complete set of data available from the energy management system helps to identify possible opportunities. Based on the data collected and by making use of a well-developed baseline, suitable recommendations can be brought out to make the present energy management program more effective. Gain insight into individual equipment power or energy consumption, section wise or the complete facility portfolio. Identify equipment that is in idle running or running away from the expected operation. 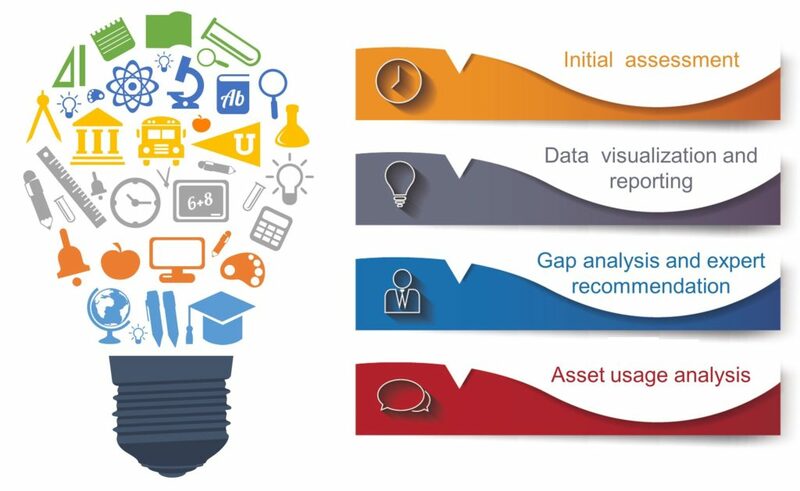 The basic approach towards energy data analytics is depicted.